Despite our best intentions, many of us inherit email lists containing bad email addresses. Sending just one email to a bad address can negatively impact your email deliverability and force us to redirect our efforts toward fixing our email reputation instead of where it matters most: engaging your audience. Determining the origins of the data you inherit before clicking “Send” on that first email can ensure you’re on the right path and prevent you from having to waste time fixing a damaged reputation in the future. Most of us know that email is one of the most effective tools marketers have to nurture their audience, gain new leads, and drive conversions. Getting the most out of email, however, requires the right email marketing strategy, and developing that strategy involves more work than just setting business goals and determining topics. The email marketing approach that works best for your organization will vary based on numerous factors that influence audience engagement and deliverability. You also have to go beyond a one-size-fits-all approach to make sure you’re addressing the various people involved in the buying process. Keeping these multiple personas in mind is crucial to helping you tailor your efforts to meet their specific needs while improving the chances of your emails getting delivered, opened, and read. Since deliverability best practices and audience preference are fluid, finding the right path toward email marketing success can be daunting. Today, we are on a mission to remove the mystery involved in creating an effective email marketing strategy and equip you with the tools and knowledge you need to figure out a recipe that gets results. Keep reading to learn how to use data, behavior, and customer personas to develop an email marketing strategy that improves inbox placement and captures your audiences’ attention. Personalizing your marketing efforts is necessary if you want to maximize engagement and, in turn, improve your inbox placement. You can’t expect all of your contacts to be at the same decision stage or share similar pain points, and sending an email that doesn’t resonate can result in poor engagement or, worse yet, get sent to the spam folder. Delivering content that matches your recipient’s needs and preferences will prove your business’ value and help them progress from one stage in the buyer journey to the next. 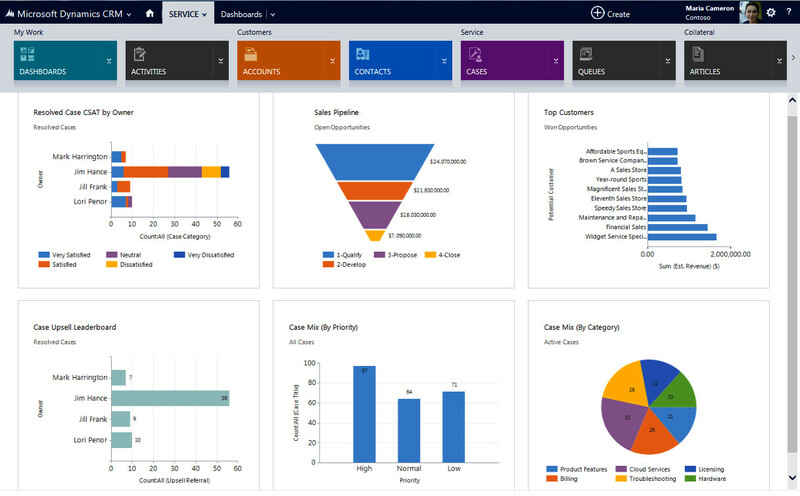 Segmenting your contacts appropriately is the first step toward delivering a more personalized customer experience. Although segmentation has long been regarded as a huge undertaking by marketers, grouping your contacts into lists doesn’t have to be laborious and time-consuming. 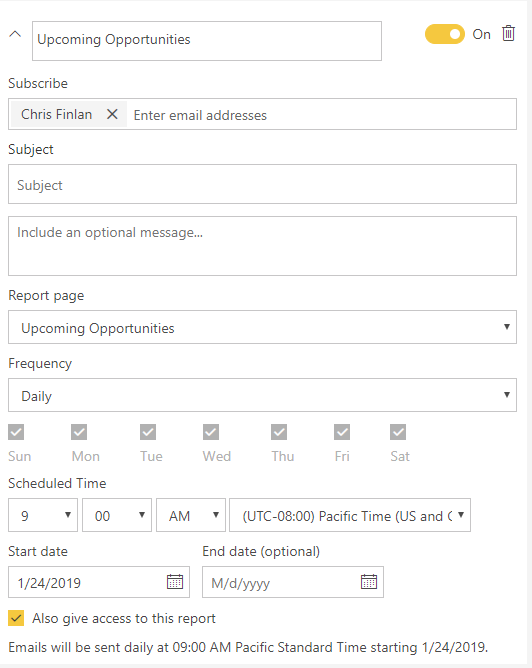 The right marketing automation tool (such as Act-On), removes much of the work involved by enabling you to automatically segment your contacts based on their behavior as well as the information you’ve gathered through form fills. While there are dozens of ways to segment your contacts, a good place to start is by their position at their organization and stage in the sales cycle. Once you begin to engage with your contacts and learn more about their specific preferences, you can use this information to segment them into a new list and enter them into a new automated email campaign. Accurate and thorough customer personas provide a good starting point toward delivering personalized emails that resonate with your audience and motivate engagement. Data, however, enables you to go the extra mile and get even more granular with your efforts by providing visibility and insight into whether your subject lines, CTAs, graphics, and other email elements resonate with your recipients. You can begin collecting data and gain even more detailed insights into your customers’ preferences by conducting A/B testing for every email you send. Send at least two versions of each email to measure which components inspire your audience to open and click through. Once enough time has elapsed and you’ve gathered sufficient data, use these insights to revise your emails to highlight the components that seem to be driving engagement for your audience. There are plenty of analytics tools available, so you don’t have to be a data scientist to thoroughly measure the performance of your emails. If you’re using Act-On, Data Studio allows you to view delivery, bounce, and open rates and click maps so you can gain a more detailed sense of how your content is influencing the deliverability and engagement of your emails. Email fatigue is a real thing, and (in addition to negatively impacting engagement) it can result in an uptick of opt-outs and spam complaints, which are the two fastest and most common routes to a damaged email reputation. Monitoring audience behavior for spikes in spam complaints, emails, and lack of engagement can help you adjust your timing and cadence to avoid bombarding your audience with unwanted emails in the future. In addition to considering audience preferences and engagement, you can avoid causing email fatigue by limiting your sending during certain times of the year when your audience is likely to receive an influx of emails, such as the holiday season. Another good rule of thumb to prevent email fatigue is to avoid over-sending in the first place. Even if your contacts sign up to your email list and choose to receive communications from you, they might change their mind if you start flooding their inbox. Therefore, it’s best practice to use forms to learn more about what and how often they want to hear from you. As with all your marketing efforts, your email marketing strategy should never remain stagnant. Your customers and best practices for deliverability are constantly changing, so it’s best to periodically revisit your email marketing strategy to reflect these changes for optimal results. This will help you stay ahead of the competition and ensure that you’re always getting the most bang for your buck when it comes to your email marketing efforts. If you’d like to learn more about how you can use data, behavior, and personas to develop an effective email marketing strategy, check out our eBook Deliverability 101: Your Guide to Developing an Email Strategy That Improves Deliverability and Drives Results (also linked below). As my colleague, Helen Veyna, recently wrote, “Email is one of the most powerful tools us marketers have at our disposal, but it can only help us generate results if our messages land in the inbox and, more importantly, stay out of the spam folder.” So how do we make sure our emails are being delivered to our intended recipients’ inbox when we want them to? Let’s examine the three most critical elements involved in reaching your desired email destination. The exciting, clever, and compelling content of your emails will never see the light of day if you’re not implementing data collection best practices when curating your email lists. This means developing lists organically through quality SEO practices, demand generation campaigns, and social media outreach — as opposed to the cardinal sin of digital marketing automation: purchasing your lists from third-parties. To ensure inboxing, everyone on your list must have voluntarily opted-in (better yet, double opted-in — discussed further below) to receive messages from your organization, and each of those addresses must be active, meaning the email is still in use. You should also have clear and direct “Unsubscribe” options listed prominently on each of your emails to give your recipients the chance to cease receiving your messages. If not, they’ll just begin marking your emails as “Spam,” which is a no-win situation for everyone. Your sender reputation is highly influenced by engagement and goes a long way toward reaching your inboxing goals, so you need to make sure you’re sending targeted messaging to specific audiences who are legitimately interested in what you have to say. If you’re sending irrelevant information to disinterested parties, those emails are doomed before they’re sent. Instead, you need to segment your audiences so you can create and send personalized messages to people who actually want to learn more about your products and services. By opting-in to receive messages from your organization, your audience segments were implicitly agreeing to a set expectation that doing so would benefit them. Don’t let them down. Segment your audience using a powerful marketing automation platform, tailor your messaging to meet those audiences’ expectations, and drive engagement with consistent emails that benefit both sender and recipient. We mentioned this above, but it bears repeating: you must make it clear and easy for unsatisfied recipients to opt-out of your emails. Holding them captive wastes your resources, damages your reputation, and forces recipients to take drastic measures (i.e., label your emails as “Spam”). When the spam rates increase, your reputation takes a hit, and repairing a damaged reputation is extremely difficult and time-consuming, so it’s best to follow best practices from the start to avoid headaches further down the road. In some cases, recipients might not necessarily want to cease all communication; they just need a little break — or might only want to receive information about specific products or services. One proven solution that benefits everyone is to provide a link to a landing page where the fatigued recipient can update their preferences regarding the type and frequency of emails they want to receive. Once you have this information, continue to segment accordingly — if done correctly, you’ll be back in their good graces before too long. Deliverability is a hot topic that many marketers are still trying to wrap their heads around. Although the goal of placing emails in the inbox seems simple, there are several factors that influence deliverability — making it difficult for senders to even begin to assess how it applies to their own email marketing efforts. In simplest terms, deliverability refers to the overall health of a sender’s email. Narrowing down on the true meaning of this term gets complicated, however, when you take into account that the health of your emails involves everything from delivery rate, inbox rate, and ROI from email — among many other factors. While the term seems unnecessary complex, deliverability is a marketing essential that can’t be ignored. Further, it impacts our ability to do business in an environment where email marketing is more important than ever, especially when it comes to nurturing leads throughout the sales cycle. And with ISPs constantly changing the email landscape in an effort to eliminate spammers, ensuring inbox delivery requires us to follow best practices and stay ahead of the curve when it comes to new updates. Today, we are going to take some of the mystery out of deliverability and equip you with a few practical tips to set you up for success. The following best practices will help you build a solid foundation for improved deliverability, helping you get your messages in front of your audience. Most consumers and businesses view their email on their mobile devices. ISPs have noted this preference and are now quick to reject your emails or send them to the spam folder they are not mobile-friendly. Therefore, ensuring that your email can be viewed across a variety of devices and email platforms is an important step toward achieving good deliverability. Content and design also play an important role in the overall deliverability of your emails. After all, your recipients aren’t the only individuals who view your messages. ISPs, such as Google, scan your emails to make sure they fit certain criteria before they can make it to the inbox. These include design and content elements such as a clear and visible CTAs, alt-text, and copy that resonates with the interest of your recipient. If your emails meet the criteria above, they’re far less likely to be filtered out or lost in the clutter. These tips also improve the look, feel, and readability of your emails, which ultimately enables you to improve engagement and conversions. Previously, companies could purchase lists with very few repercussions, but those days are gone forever. Nowadays, it’s more important than ever to ensure you’re collecting quality data and your lists are as clean as possible, which means your recipients are opting in to receive communications from you and that you are collecting valid email addresses. At Act-On, we take data and email hygiene very seriously. At the end of the day, we want our customers to get results from their marketing, and improving their email deliverability and ensuring they don’t gain a bad email reputation is an important part of doing that. That is why we provide a variety of landing page and form templates that allow customers to easily acquire user information and consent to send all in one place. Our platform also integrates with NeverBounce so that Act-On users can review their lists, make sure all their emails are valid, and reduce the number of hard bouncebacks. With an array of privacy regulations (such as GDPR) being developed, implemented, and enforced all over the world, it’s in your best interest to ensure you have permission to send and are sending to active email addresses. Further, taking the extra step to gain permission to send emails to your contacts will result in better and more engaged leads, so the work involved in maintaining your lists is really a blessing in disguise. If you want to learn more about how you can ensure quality data and email hygiene, check out the latest in our deliverability eBook series, Improve Email Deliverability with Quality Data and Email Hygiene. Deliverability is constantly changing, so it’s in your best interest to stay on top of trends and make sure you are always following best practices. Doing so will set you up for success today and help you avoid having to put out any fires in the future. This post just begins to cover the basics of what you can do to ensure maximum deliverability rates. We invite you to take a more in-depth view into deliverability and how you can set your company up for success by downloading our Deliverability 101 series, written by Act-On’s very own deliverability consultants, linked below. The holidays are here, and we’re in the homestretch before everyone turns their full attention on 2019. You’ve probably been pushing holiday promotions and seasonal offerings in some form for every stage of the customer journey, but these marketing campaigns are coming to a close and it’s time to think forward. Before jumping right into 2019 nurture programs and messaging, let your business press pause on the promotions, offers, and value-packed opportunities to simply recognize and appreciate this holiday season. It’s a way of staying top-of-mind with your customers while smoothly transitioning from holiday-centric content to gearing up for an exciting new year. Wrap and put a bow on your holiday messaging during this next week with a non-promotional email to your customers. It’s a way of letting them you know you’re thinking of them during the holidays, and that you recognize and appreciate the opportunity to celebrate this special time of year together – even if it’s just in the form of an email. 1. A sincere letter from the executive team or CEO. Your business wouldn’t be where it is today without your customers and they’ll appreciate hearing it on a personal level from the top. 2. If they currently have products with your business that are great to use during this hectic time of year, it’s worth a friendly reminder! A financial institution, for instance, may want to let its cardholders know that this month’s cash-back rewards are in categories that pertain to their needs around the holidays, like groceries (a reminder just before Christmas dinner shopping) or department stores (for last-minute gifts). It’s not promotional if they already have the product, and serves as a reminder of how it can best benefit your customers this time of year. 3. A message on how to stay safe during this holiday season, especially as it relates to your industry. This can be in the form of a list, infographic, or even a short video. Insurance firms are a great example with how they can share safety tips around the home for large gatherings and incremental weather. Not in the business of much safety hazard during this time of year? Give it a cheeky spin with how to unplug from our devices and even work to enjoy the holiday. 4. Share how your business gave back to its community this holiday season. Perhaps your local offices, branches, or agencies hosted a food drive, volunteered as a team, made a charitable donation, or contributed to families in need – your customers want to know that they’re supporting businesses that give back to their communities. Briefly recap with a few photos why you chose this type of charitable work, the experience, and the outcome. Be humble and appreciative to your customers for helping make this happen; help them feel part of how the business gave back. 5. Reflect on the past year for the business, community, and customers. This is a great opportunity to share your 2018 successes and, what’s more, extend those successes to your customers. Keep the reflections somewhat high-level and light; now’s not the time to crunch numbers and create charts. What do your customers care to hear about, and how did they help you achieve it? What accomplishments instill trust in your brand? 7. Create a list of top content in your industry from this past year. Is there a particularly great thought leadership article, value-packed report, or several books that your professional network will love? Again, we’re keeping this light and non-promotional as we wrap up the holiday season, but this informational round-up serves as a good transition from 2018 to 2019. At the end of the day, never underestimate the power of a personal note that expresses appreciation. It’s the gesture more than anything, and a reminder in their inbox that you’re thinking of them (and not their wallets).